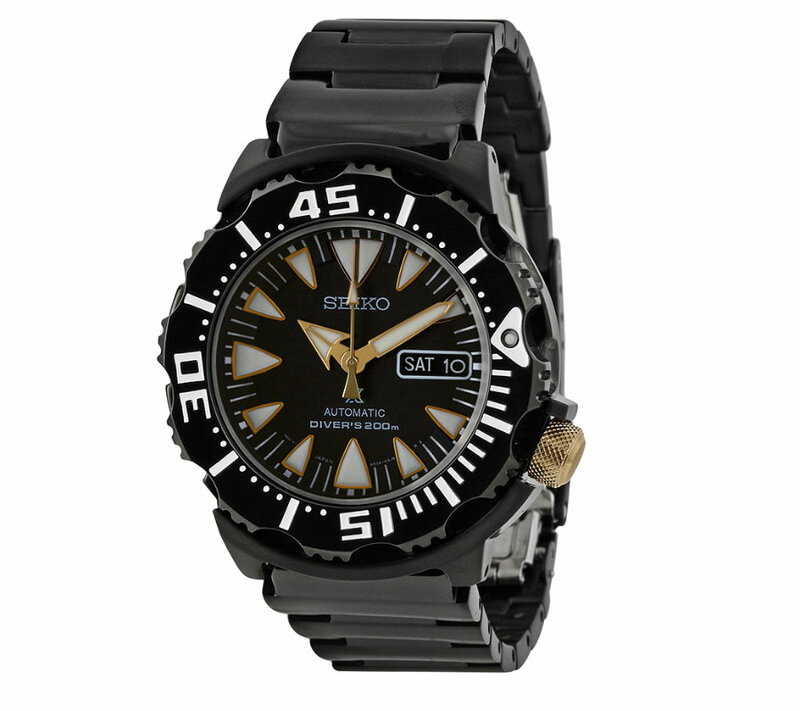 The Seiko Monster might be one of the most polarizing dive watches ever released. The love-it or hate-it design has camps firmly entrenched on either side, with dedicated followers declaring their love for the quality and value, while detractors scratch their heads at the aggressive and somewhat ugly overall design. 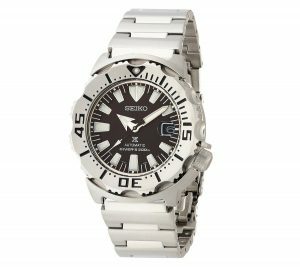 Both sides have a point – the Seiko Monster is no beauty queen. But with a watch like the Monster, that was never the intent. Just look at the name: “Monster”, it was always destined to scare some people. 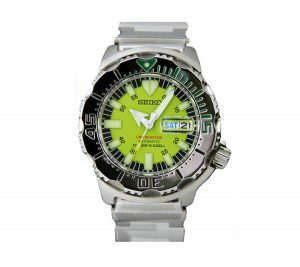 The Monster is all about rugged dive capability offered at an exceptional value. 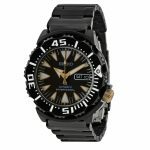 Like the Seiko SKX, you can most Monsters for less than $500 – and for that you’re getting a pretty amazing watch: 200 meters of water resistance, a reliable low-maintenance mechanical movement, and an incredibly overbuilt dive watch that can withstand a lot of abuse. Not to mention, the aggressive design has been known to grow on the unbelievers. 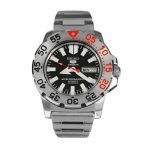 I’ve witnessed many a convert spend years hating the Monster before finally giving up and falling in love with what it is: an unabashed tool-watch. 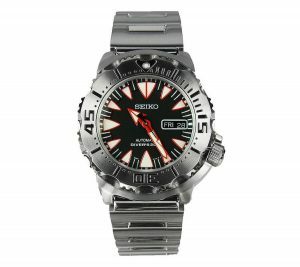 Enjoying 10 years of continuous production, there is no denying that the Monster might be one of Seiko’s most popular modern dive watches. 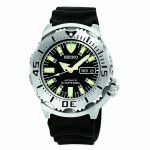 The basic model has evolved over three generations, and Seiko has released dozens of highly collectible special editions and unique colors to satisfy collector’s insatiable appetite for this affordable diver. 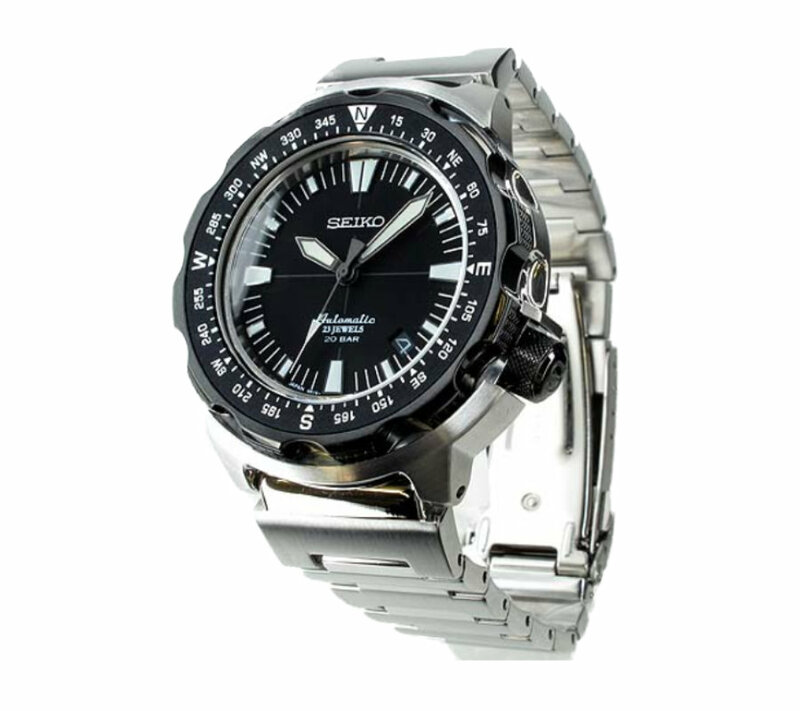 Let’s dig in, starting with the various Seiko movements used in this model. 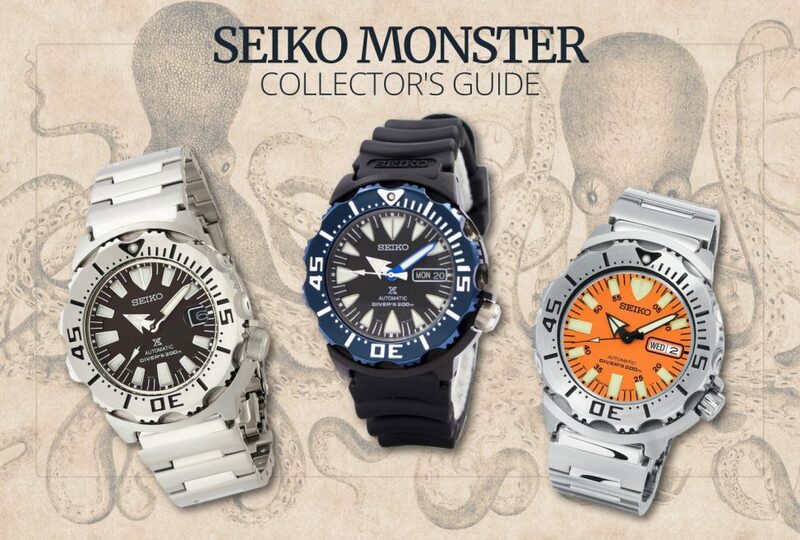 A handy printable visual reference guide containing the latest known model names and prices for the available Seiko Monsters, both domestic and abroad. 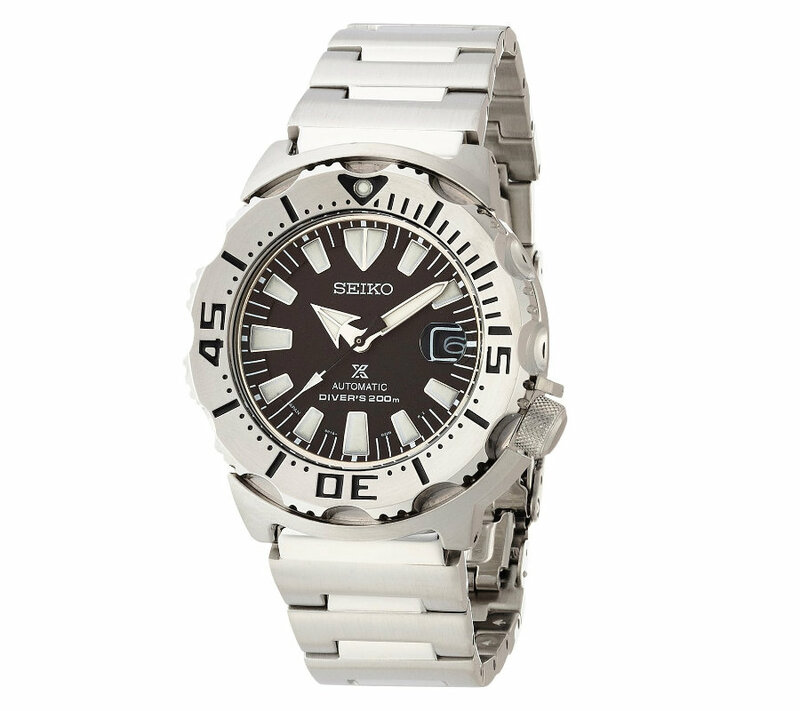 Seiko Monsters primarily use one of four popular Seiko Movements, the 7S26, the 7S36, the 4R36, and the 6R15. All of these movements are all fairly similar, considering that they share the same basic architecture. The 7SXX line of movements are Seiko’s popular workhorse movement used in much of their entry-level automatic watches since 1996. The 7S26 and 7S36 are identical movements excluding the addition of two additional jewels on the 7S36, which are purely decorative. 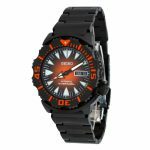 The 4R36 and 6R15 are upgrades on this basic architecture, adding hacking and hand-winding capabilities. The 6R15 is the most desirable movement of this group, owing a 50-hour power reserve to it’s upgraded Spron 510 mainspring (a highly elastic alloy developed by Seiko). 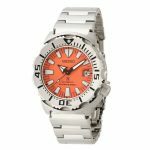 None of these movement are known for their fit and finish, however they are incredibly reliable and easy to maintain, due to their relative simplicity and availability of spare parts. Accuracy is typically +/- 25 sec / day, although they can be made more accurate with proper regulation. 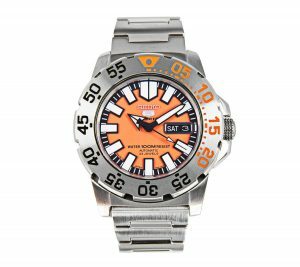 First released in basic black and orange, the original Monster set the standard for many of this watches now iconic characteristics: the chunky case, insane glowing lume, a toothy steel ratcheted bezel, and the stubby and short broad-arrow hour hand. There were many special editions of this watch produced, with some of them being incredibly rare and collectible. See the ‘Limited Edition’ section for more details. The original. 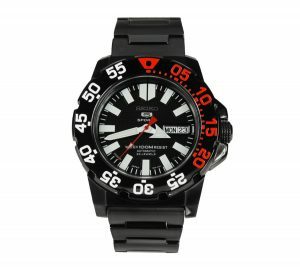 Black dial and steel bezel available on rubber or bracelet. No longer in production but stock is still available. 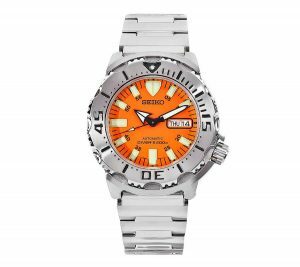 Orange proved to be an incredibly popular variation on the original Monster. 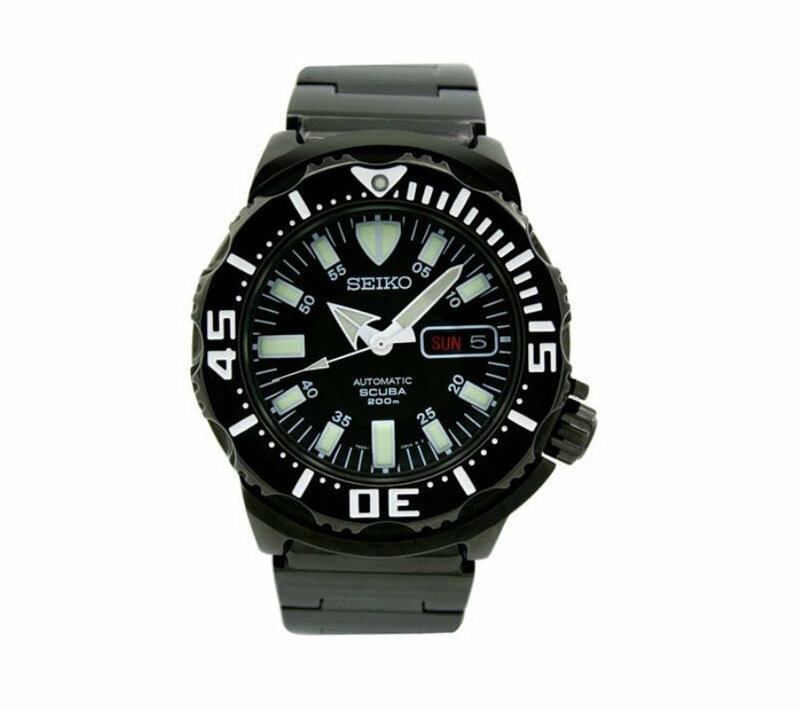 Still in production by Seiko. Most of the limited edition Monsters from this generation were released in very limited quantities in Thailand. Although a couple of limited editions have unique specs, the majority are basic variations on the color and materials of the base model (1st and 2nd gen) Monsters. Why Thailand? Most likely because Seiko has a manufacturing and design facility there and early iterations of this watch enjoyed robust sales in the Asian markets. 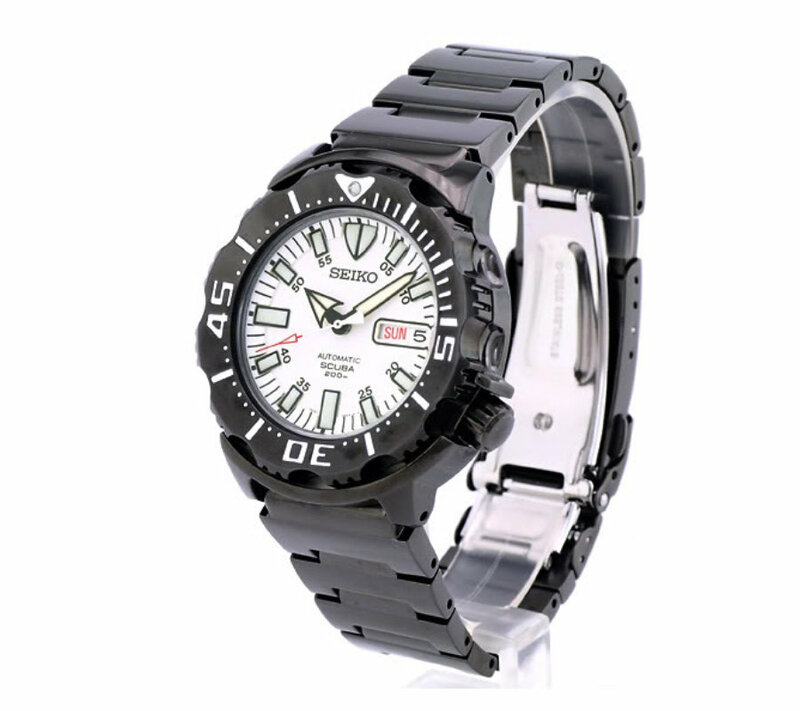 Or maybe Thai people just like crazy looking watches. 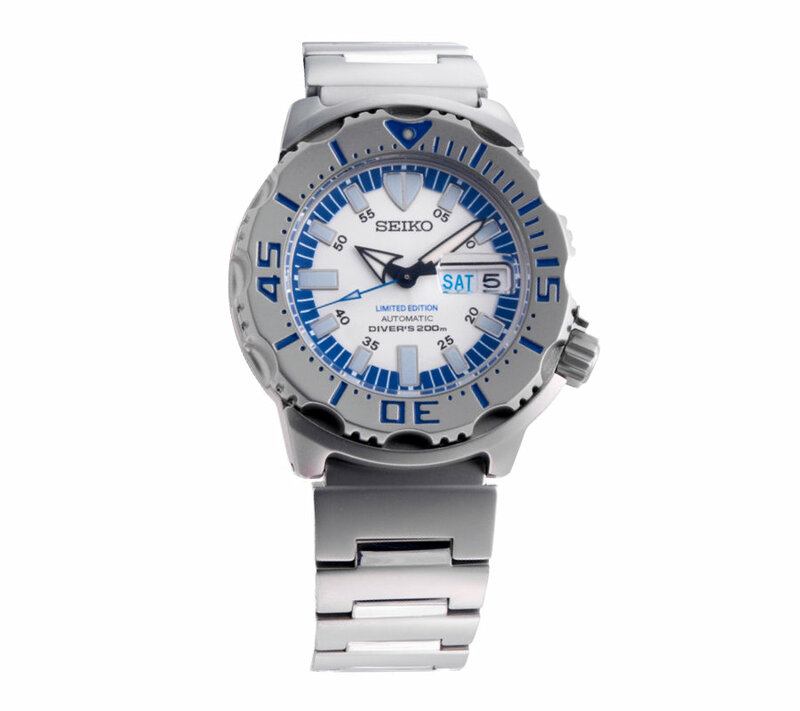 Steel bezel with blue markings, white and blue dial with silver markings, white and black hands and blue seconds hand. 'Limited Edition' printed on dial. 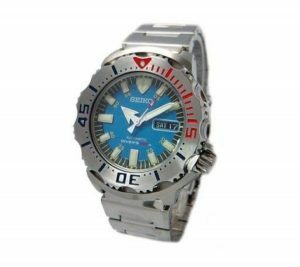 Steel bezel with red and black markings, blue dial with white hands and markers. 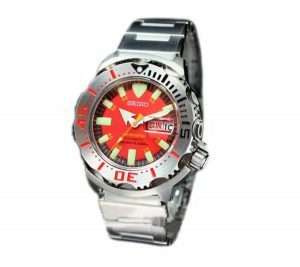 Steel bezel with red and black markings, red dial, and white hands with orange seconds hand. 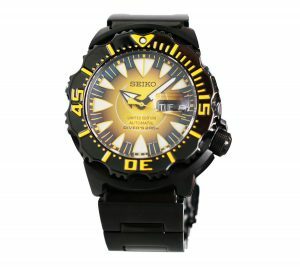 'Limited Edition' printed on dial. Very rare at only 300 pieces produced worldwide. 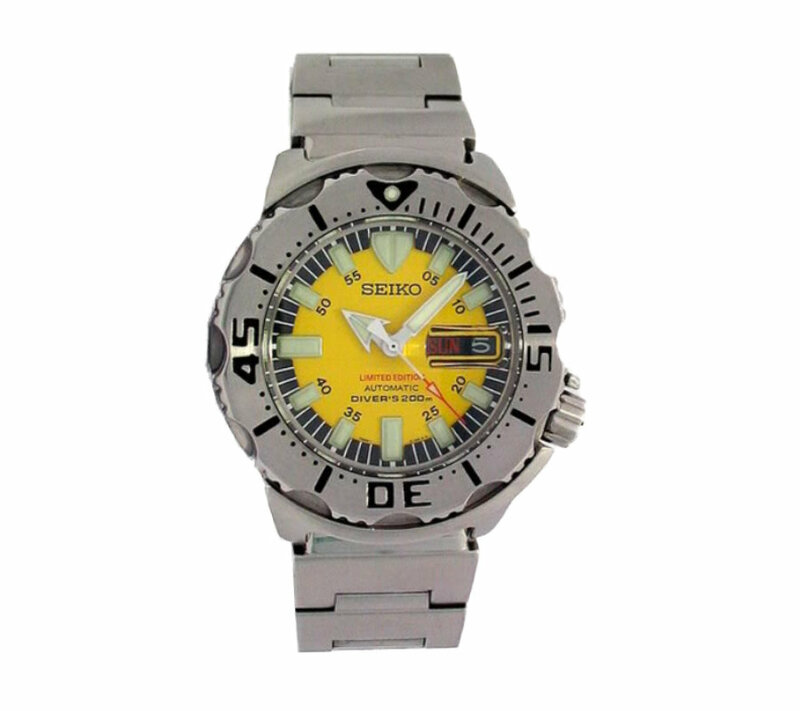 Steel bezel with black markings, yellow dial with white hands and red seconds hand. 'Limited Edition' printed on dial. 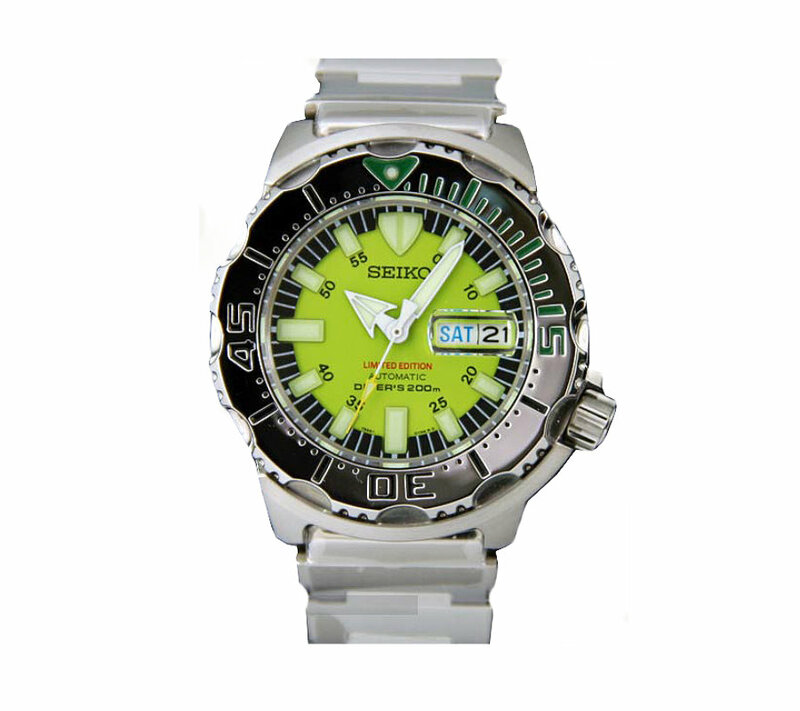 Chrome bezel, lime green dial, yellow seconds hand, white hands. 'Limited Edition' printed on dial. 100th anniversary edition. 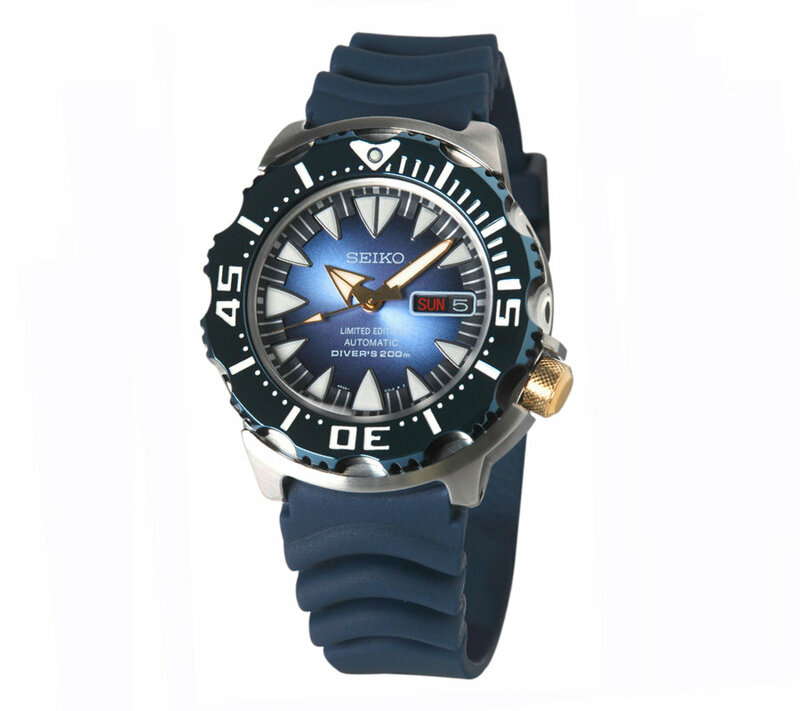 Chrome blue bezel with white markings, blue sunburst dial, gold hands and markings, gold crown. Sapphire crystal, black bezel with black and red markings, red, purple and green markings. Red hands. 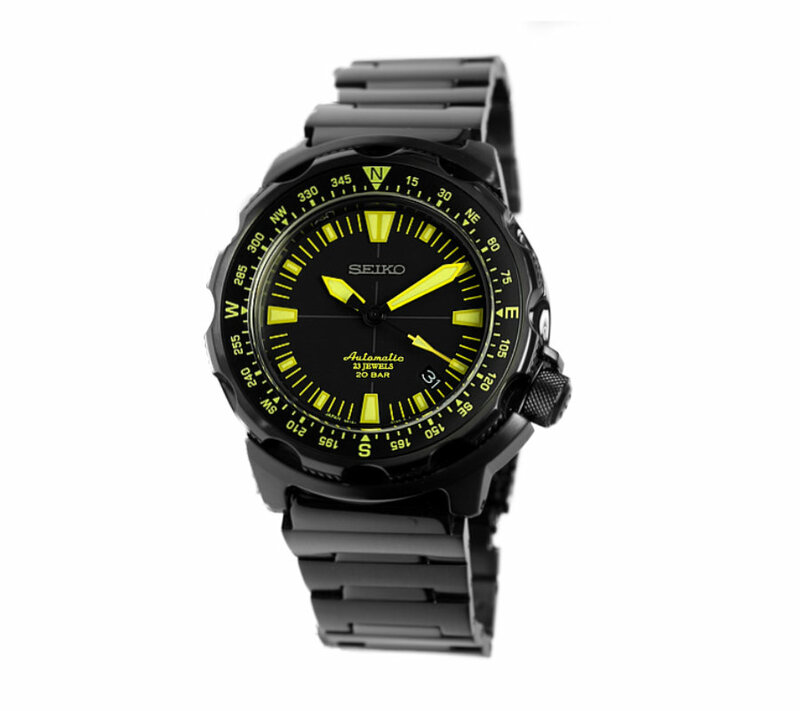 'Limited Edition' printed on dial. Seiko Monster 10th anniversary edition. Black case and bezel with yellow markings. Crescent moon design on dial. 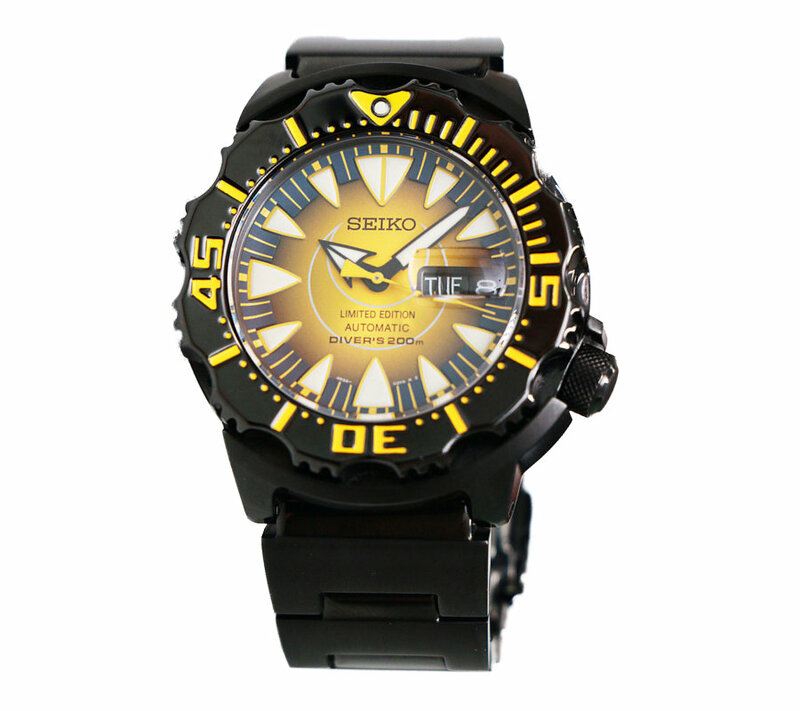 Seiko Monster 10th anniversary edition designed by Akira Sakairi. Limited edition 'Land Monster' with rose gold case accents. Much larger than the standard Monster. 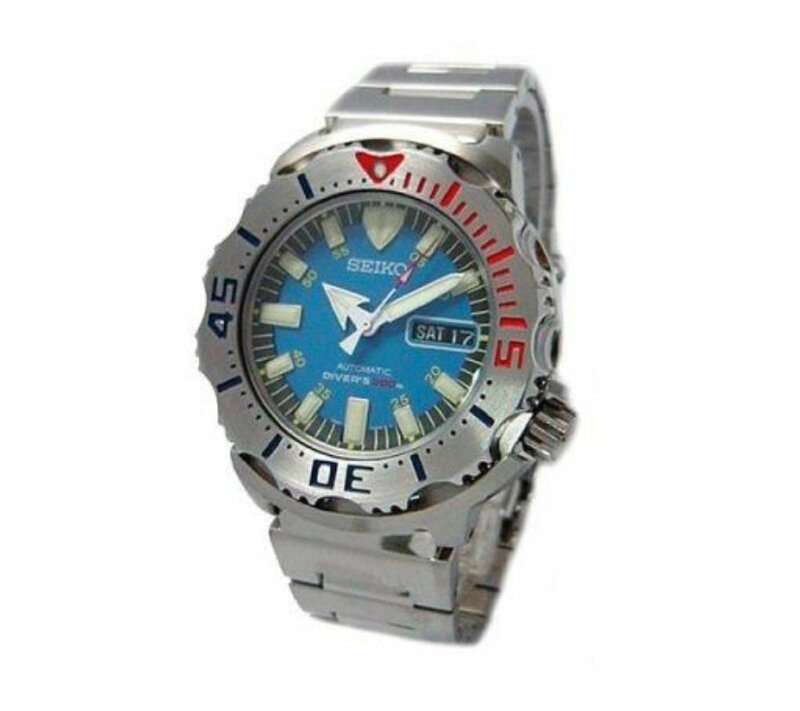 In what may have been a move to take the Monster “theme” a bit too far, the second generation dial was updated to look like the gaping maw of a lamprey attached to a poor lake trout. 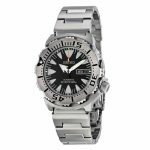 Still, the new model proved immensely popular and the upgrades at movement provided the watch with much needed hacking and hand-winding capabilities. 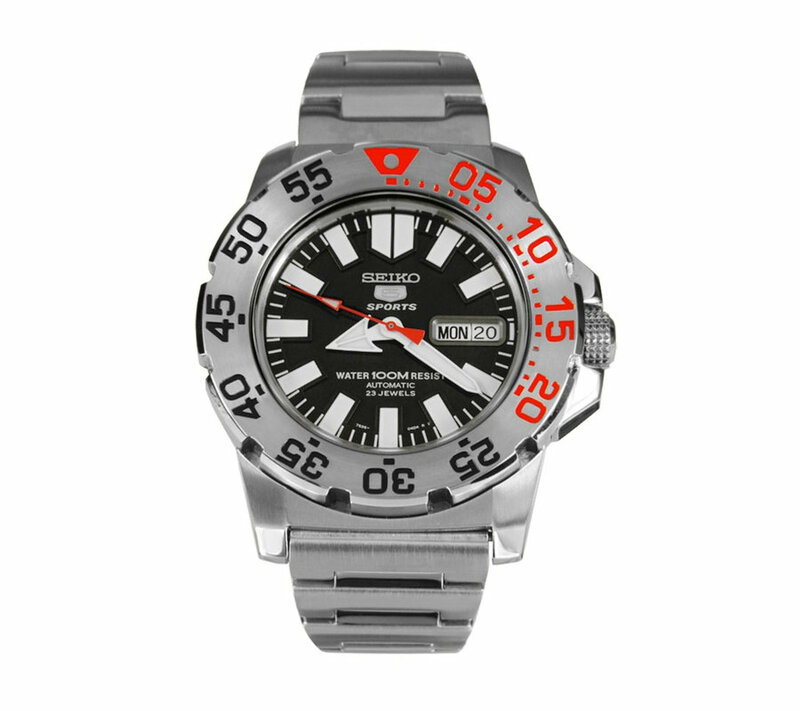 Black dial, white markers and hands, and red-tipped seconds hand. 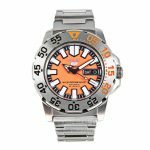 Orange dial, white markers and hands, and white tipped seconds hand. Black dial, red and white markers and hands. 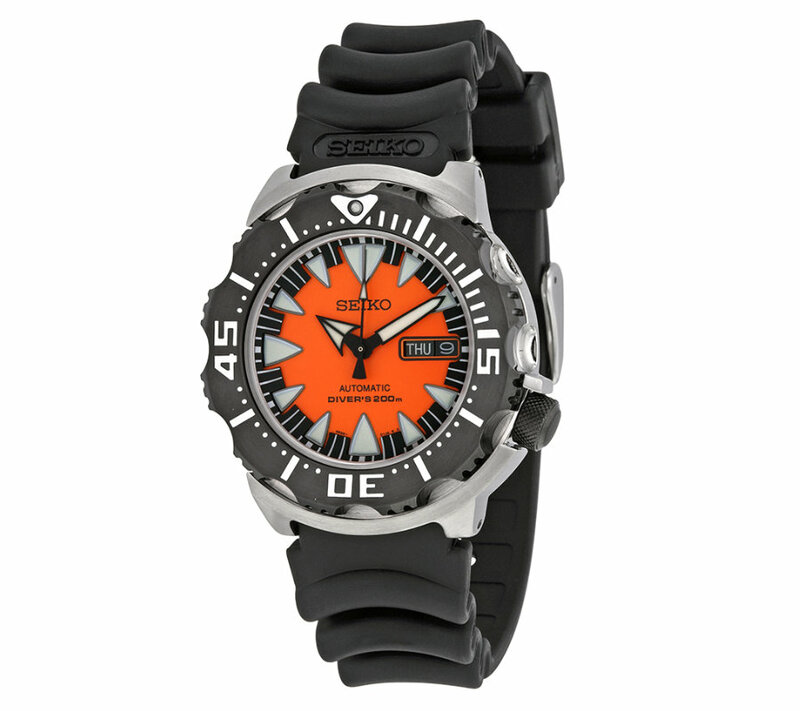 Black bezel with orange markings, black/orange sunburst dial, and black and white hands and markers. 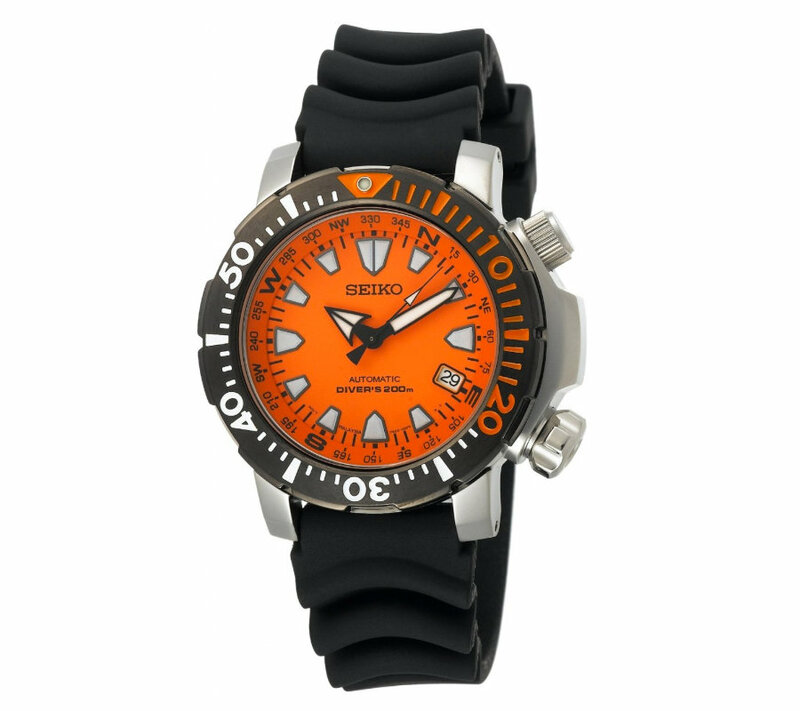 Black bezel with white markings, orange and black dial, and black and white hands and markers. 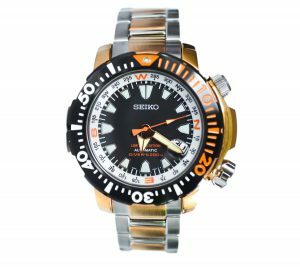 Black bezel with white markings, black bracelet, gold markings, hands and crown. 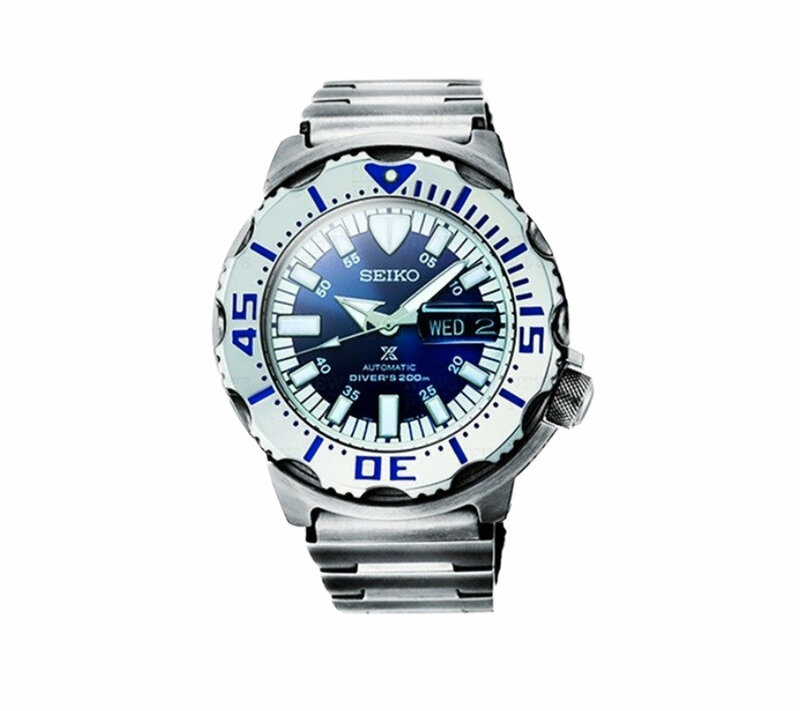 Blue bezel with white markings, black dial with white and blue hands. From a strict design perspective, the third iteration of the Seiko Monster is by far the most balanced. 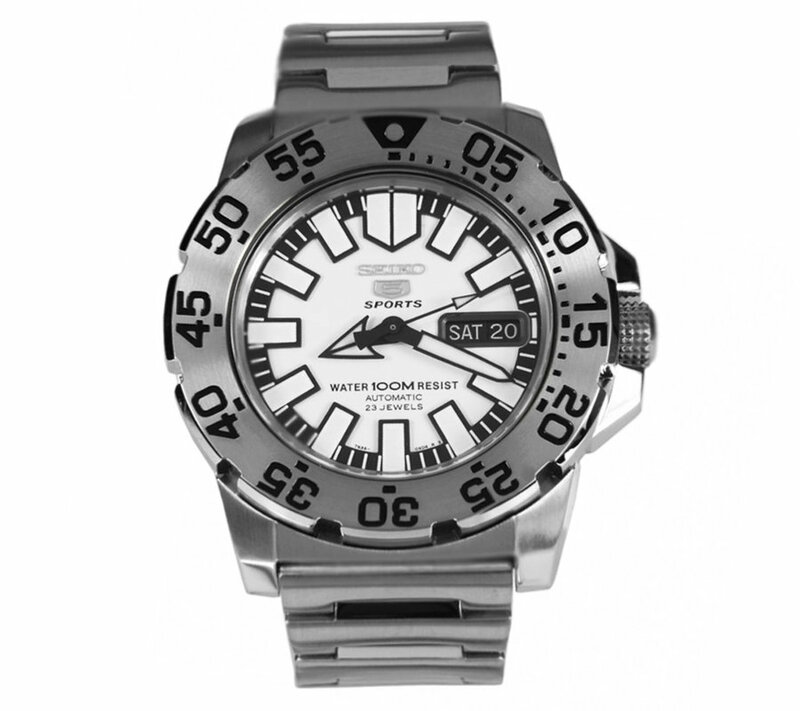 Gone are the shark-tooth indices of the second generation, replaced with the trapezoidal markers reminiscent of the first release. The day feature was dropped, and a Rolex-esque magnification window was added to the crystal. The 3rd-gen Monster also contains the premium 6R15 movement, a module otherwise used in the mid-range SARB line (eg. The “Alpinist”, and the “Cocktail Time”). Unfortunately the 3rd generation models are not as easy to acquire in the U.S. market yet, you’ll have to buy from a global/Japanese marketplace like Ebay, Rakuten or ShoppinginJapan. Additionally, these models have moved into the midrange market in terms of price (~$500) and no longer have the value that made the original models so attractive to entry level buyers. Still, they are higher quality than the originals and well worth the price. 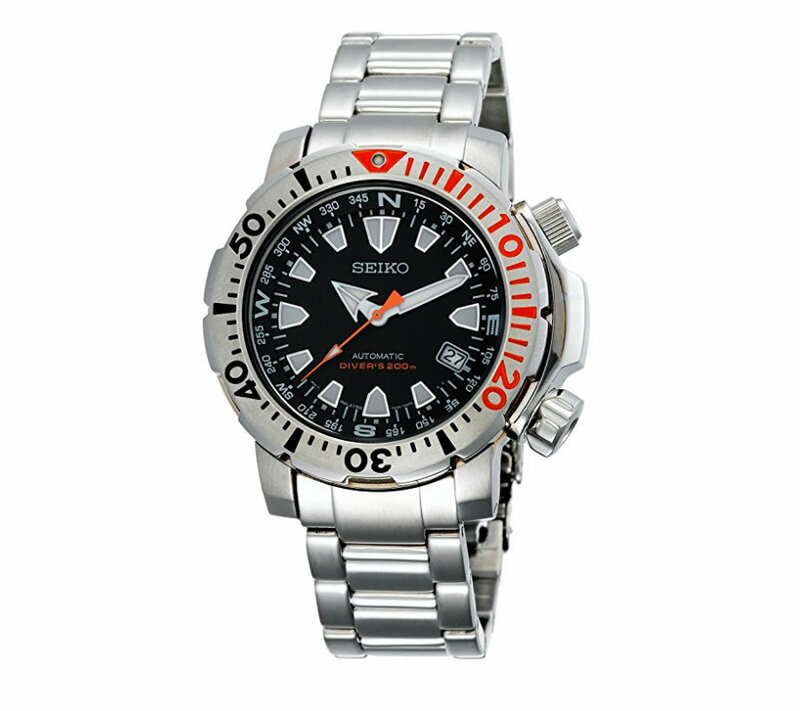 Steel bezel, black dial, white markings and hands. Black case, black bezel, black bracelet, black dial. Black case, black bezel, black bracelet, white dial with white hands and red second hand. Black case, black bezel, black bracelet, purple dial with white hands and purple second hand. 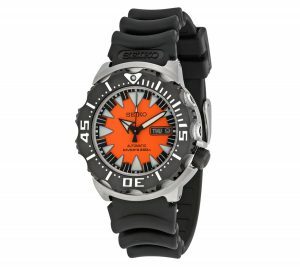 Black case, black bezel, black bracelet, orange dial with white and black hands. 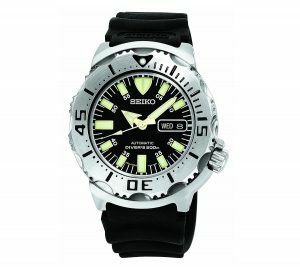 The Land Monsters are like a strange love-child between a Seiko Alpinist and the original Monster. 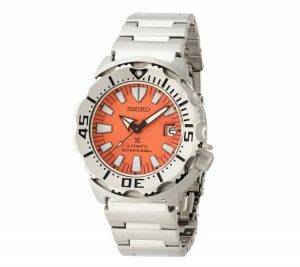 Although it mostly looks like a standard Monster, it also features a rotating directional bezel controlled by the crown at 2 o’clock. 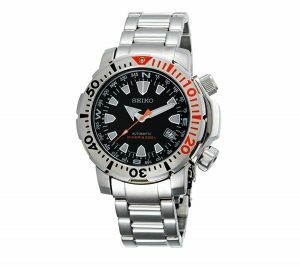 Even though it’s focused on trekking on land, it maintains it’s 200M WR and timing bezel, making it a usable dive watch as well. Steel bezel with orange and black markings, steel bracelet, black dial with orange seconds-hand. 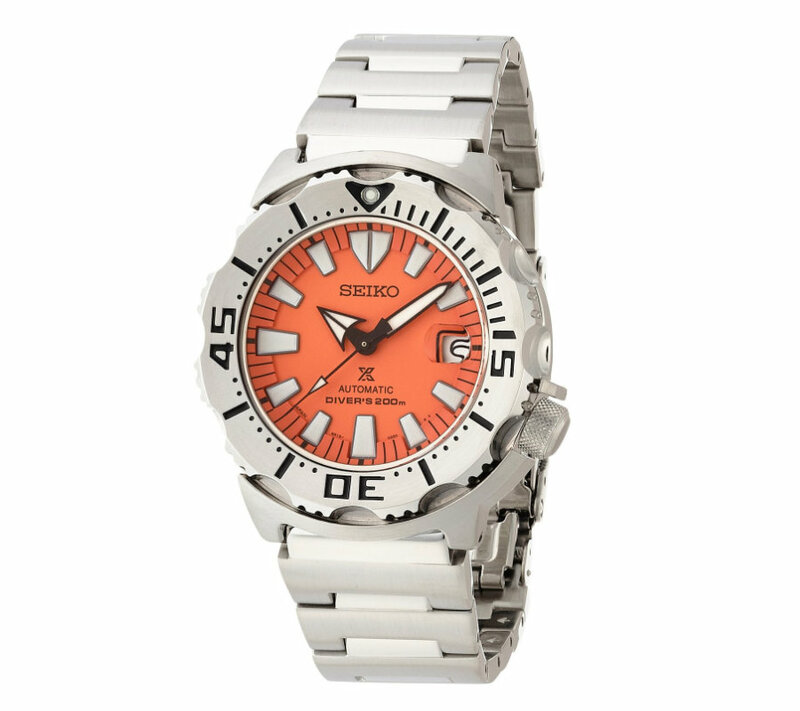 Steel case with rubber bracelet, black bezel with white and orange markings, orange dial with black and white hands. 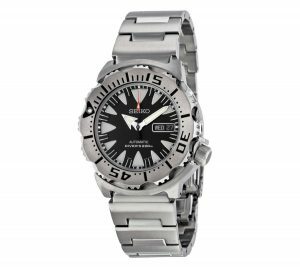 The so-called “Baby Monsters” (designated with SNZF) share the iconic styling of the original Monsters but lack some of the real dive-watch capabilities of their more serious siblings. 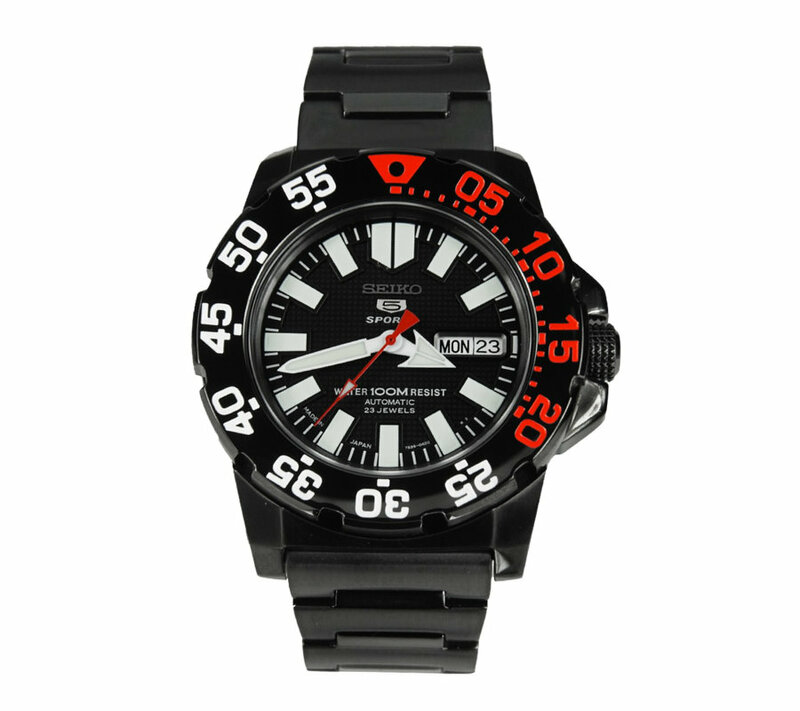 The dial sports the “Seiko 5 Sports” logo, and the lack of screw-down crown downgrades the depth rating to only 100 meters. These were intended more for the fashion market, and can be had for closer to $100. 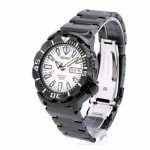 They still contain automatic movements though, and in that regard they still represent a great value for a mechanical watch. Steel bezel with black markings, white dial with black and white hands. Steel bezel with red and black markings, black dial with white hands and red seconds-hand. 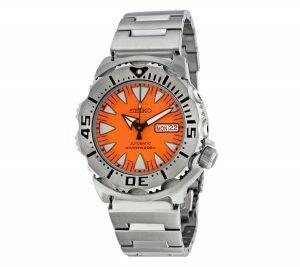 Steel bezel with orange and black markings, orange and black dial with white and black hands. 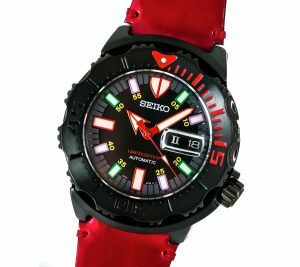 Black bezel with red and white markings, black dial with white markings and red seconds-hand. 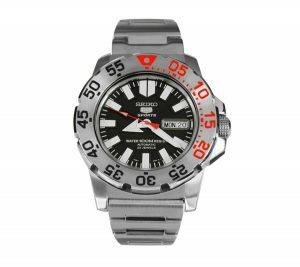 Another JDM-only version of the Monster released in 2009, the Seiko “Trek Monster” is the land-lover’s companion to this iconic dive-watch. 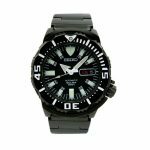 Powered by the 6R15 like the 3rd generation Monsters, the Trek Monsters feature a navigational bezel in place of the standard diving bezel and more of a field watch styling for the dial and hands. 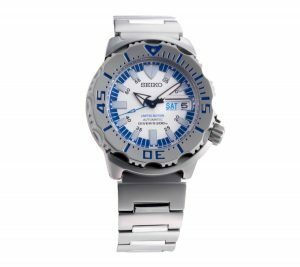 These models are slightly smaller at 40mm, but still boast a 200M water resistance just in case you can’t keep out of the water. Although some people dispute the fact that these models should be classified with other “Monsters”, I believe they share enough of the design DNA and components to include them in this reference guide. Basic black 'Trek Monster'. Black bezel with white markings, black dial with white hands and markings. 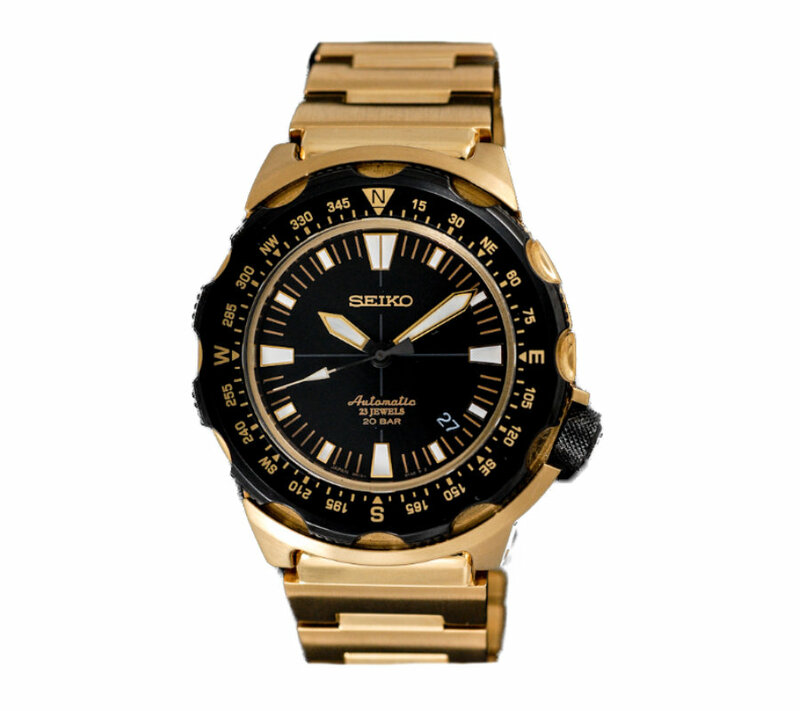 Standard 'Trek Monster' with a gold case, black crown, and gilded markings. Standard 'Trek Monster' with green hands and markings. We’re able to automatically pull the lowest available price For the Monster models that can be readily obtained on Amazon. See our table below for a quick price comparison of the common models. Prices are updated every 60 minutes. Please let us know if we’ve missed any of your favorite Monster models in the comments below! Thanks for this guide. I have a couple and am looking for more as I can find them at good prices. The gen 2 “Dracula” is my next target and then the one of the yen 3s. The numbers of variations is crazy! Do you think that the so called baby tunas which seem to be monsters with shrouds should be considered variations? 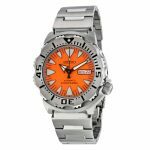 I found your post at watchuseek btw. I think that I might be developing a monster problem. Anyhow thanks. I did consider the “Baby Tunas” for the guide, but honestly they are such a weird hybrid between the Tunas and the Monsters they are difficult to classify. For me, the shrouded case makes it more Tuna than Monster, but I’m sure you could argue it either way. Thanks for the feedback Kristoffer! I will update the guide to reflect those changes. 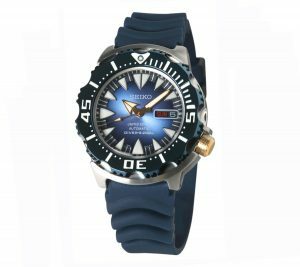 How about the Seiko SZSC003 Ocean Navy Monster?? Hard to find this one anywhere… anyone know anything about it? Can’t believe they put the ugly rolex style old person magnifying glass in the 3rd generation. It’s horrible and distorts the view. 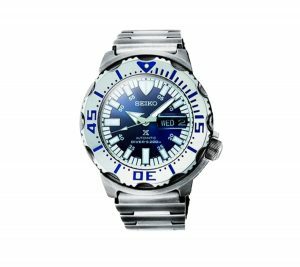 The bezel is blue with North,S,W,E markings. 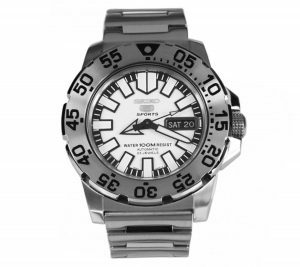 I think it has 100m water resistance. Dial looks like the super blue .monster but with a (+)(u know what i mean…)design. It says ‘limited edition’ on the dial. I hope you can tell me which model is that. (sorry for my bad English).If im not mistaken,the strap comes with it looks like it is made from jeans. I’ve never seen that one before. Where are you located? It sounds like a limited edition Trek Monster. 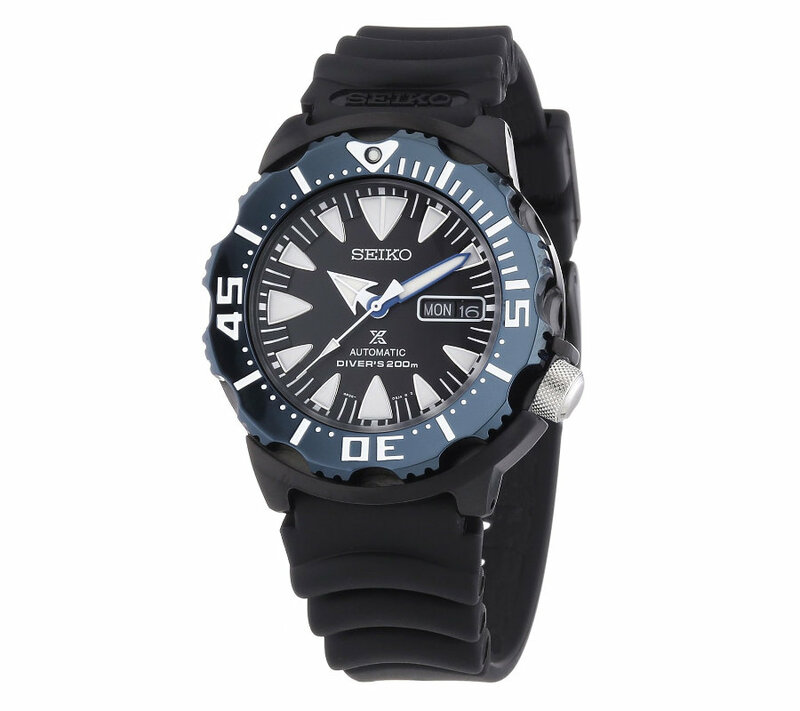 Just checked it out.Its a Seiko Superior Monster SRP451.It has a nice dark blue nylon strap.Do you think its rare or really rare?Btw its in Miri,Borneo. 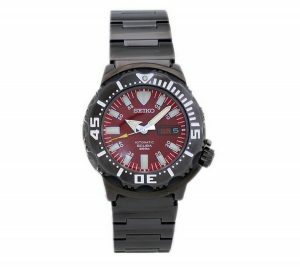 Cost about USD50 more than my BM gen 2.And yes it has 100m water resistant and an expedition case back. And the various Tuna Monster? Hey, great article! Extremely informative indeed. Just learned about a new 3rd gen Monster..szsc003. Blue watch face. Rumor has it that it is a limited edition. Do you have insights? Just came across your post. It seems you forgot to mention the Daddy of them all, the Quartz Monster that predates the Monster lineage by a year. 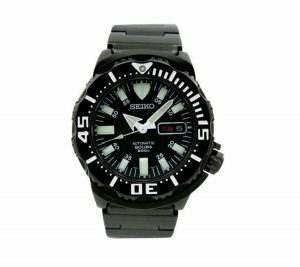 First time the “Monster” hands show up on a Seiko watch. Only produced from 1999-2000. Comes in both black [SLR001] and cream dial [SLR003]. Both extremely hard to find and with the plastic shroud still intact. I am fortunate to still have a NOS piece. Either way, great article. Hey! I can confirm SZSC003 is on the market, called \’Blue Eye Monster\” . Seems to be limited edition 1000pc – take this with a grain of salt as it is not from official source, all the Japanese sellers are stating it . @mike – I am also looking for solid production amount information on these Blue Eye Monsters (SZSC003) as well. I picked one up from a Japanese seller on eBay a few days ago, and it was just shipped – very excited to receive. Only Japanese sellers and Amazon seem to have them. 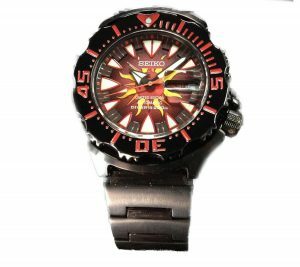 Nothing on the Seiko sites about it. Why such a secret with these? And since blue is such a popular color, I’m very surprised that it’s not being produced in the same quantities as the Gen 3 orange and black Monsters…? hi guys i have a first generation orange monster 7s26 made in japan version and it has a outer yellow ring on the dial is this rare ? 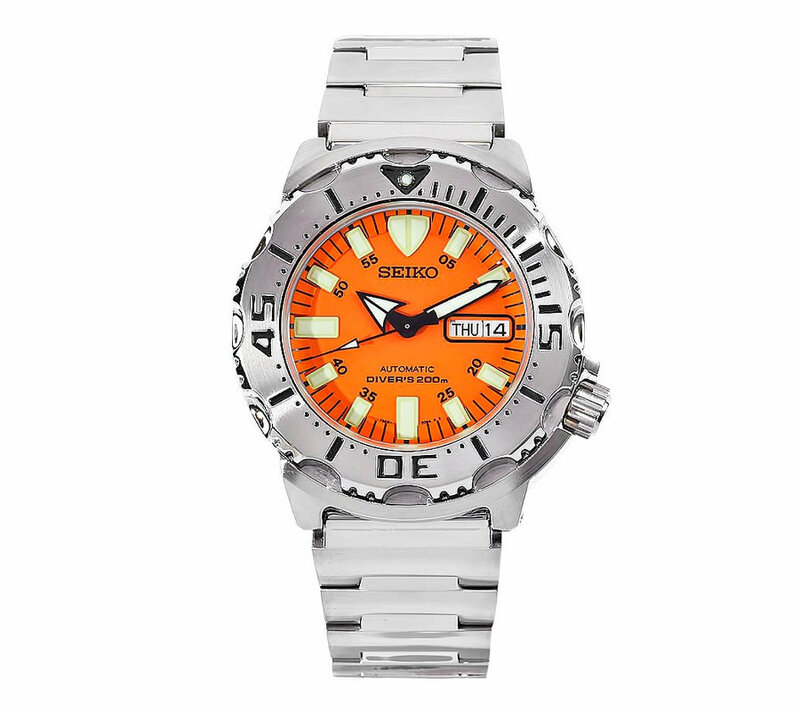 I know the Classic Orange Monster has a SS bezel, but is this one just a variant? Worth getting?? Yes, more collections are in the works! John, great choice! Glad I could be of some help, I know you will enjoy your new purchase. My orange monster, was bought about 6 years ago and hardly worn. I am considering selling but I can’t tell what generation it is or where made. Could you possibly let me know some information on it? On the front at six o’clock position, in tiny letters it reads: 7S26 (on left side of six marker); and 2084 R 2, on right side of six marker. 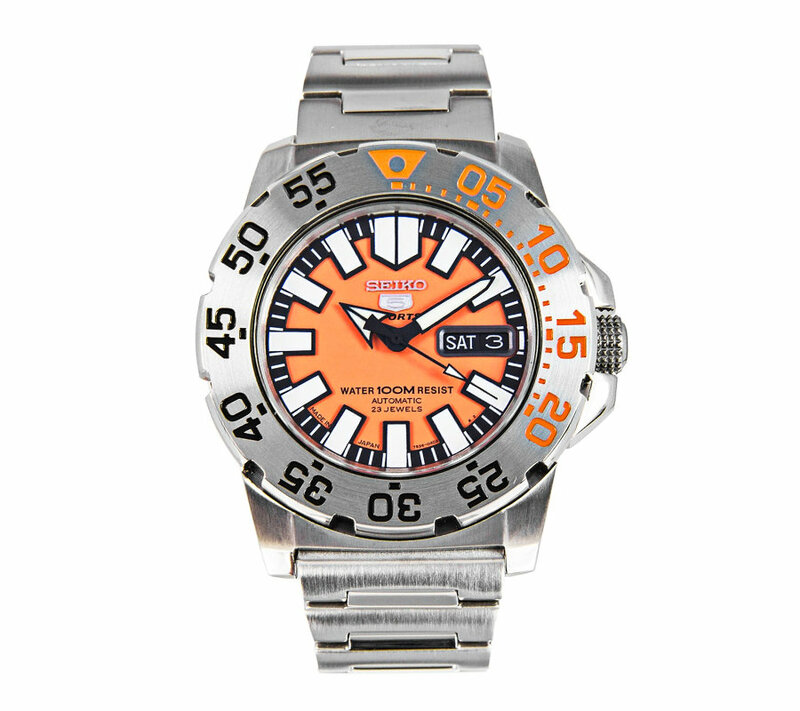 Sounds like you have a first generation Orange Monster (SKX781) — they were the only generation that used the 7S26 movement. 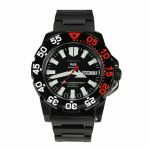 As far as where it was made, you’d have to see if it is a SKX781 or SKX781K — the K models were generally made outside of Japan (Malaysia, Singapore, or Thailand…). 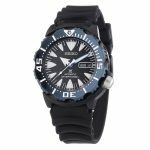 SEIKO MONSTER AUTOMATIC 24 JEWELS MEN’S WATCH SRP483K1 & SRP483J1 (better known as a Baby Monster w/improved caliber). Love your list but it is time to update again. This is a valuable tool! 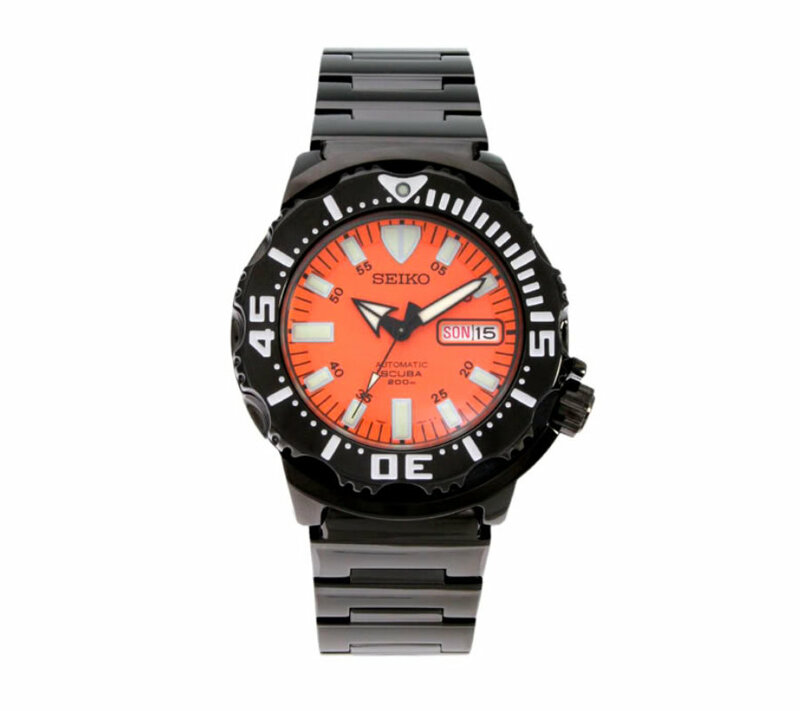 Personally, I wear a SBDC 023 3rd gen. Orange Monster—-absolutely love it! 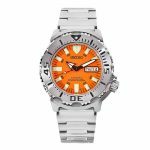 I am looking at picking up a used first generation orange monster (no papers or boxes) for around usd 100. Normal bracelet scratches but crystal has scratch. Should I buy and 2) can I replace crystal and maintain water resistance? Also I have black gen 1 monster I will pick up used for about usd200. Still a good buy (good condition but no papers and box). Is it me or are the prices on eBay for these gen 1s going up????? Hi Mike. 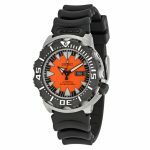 My 1st gen orange monster has a yellow ring on the dial. Is this a variant of 1st gen monster? What do you think? Thank you so much for creating this guide, Mike! I’ve been wanting to add the Orange Monster to my collection for some time now, but was unfamiliar with the different generations and models. 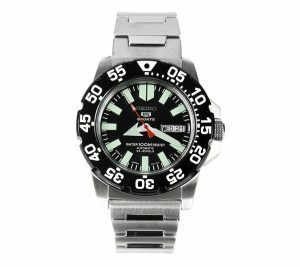 It’s even helped me stay away from some counterfeits offered on Amazon, just by comparing dials and bezels alone. No problem Anesti, glad you found it useful! I think the original orange monster is my favorite of the bunch. 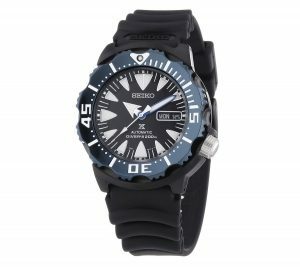 seiko 5 sport srp481 ? After stumbling across this site I did some unpacking and found my classic black (SKX779) and Orange Land (SNM037) Monster. In the short time since I have added a Super Blue Monster (SRP455) and a Black Land Monster (SNM035). I now rotate wearing them everyday. I am still looking to add to my collection. Thanks for the info. I heard from a very reliable source that there would be a Zimbe Limited Edition Monster somewhere early to mid-2018. 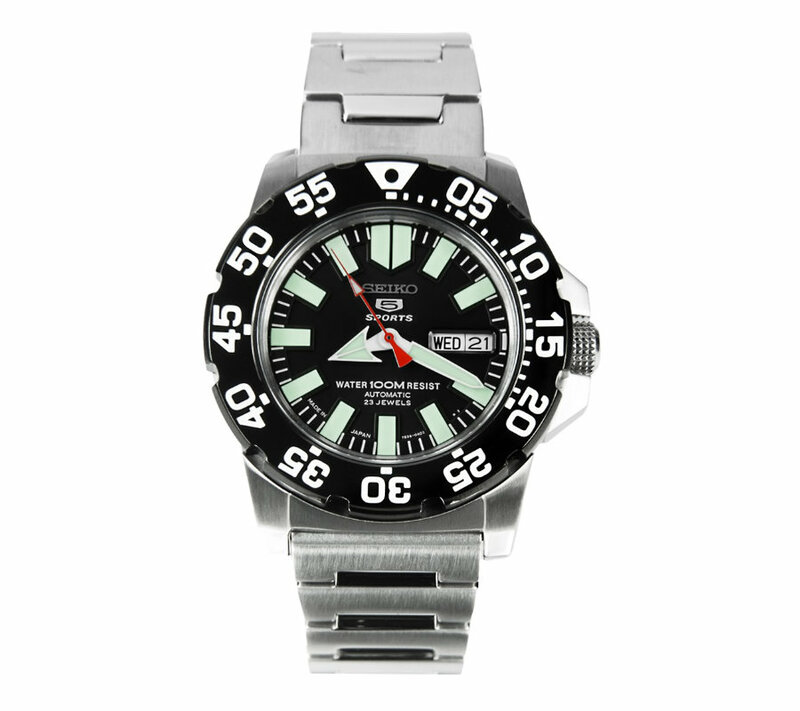 This would be the last ever Monster watch to be produced, so it would be a collector’s dream to get hold on one…. Great article. I can’t seem a new Monster for sale anywhere, even a 3rd generation version. Have they all been officially discontinued? Yeah, they are definitely getting harder to find. You may want to try a Japanese import site like http://www.shoppinginjapan.net/, it appears they have a few third gens there. Limited and Japan only releasing Feb 18, 2018. This was a fun read. I have a very early Black monster on steel bracelet manufactured in May 2000. Early on, they came from the factory with a domed crystal, My example also has Arabic/English day/date. Still runs like a champ. 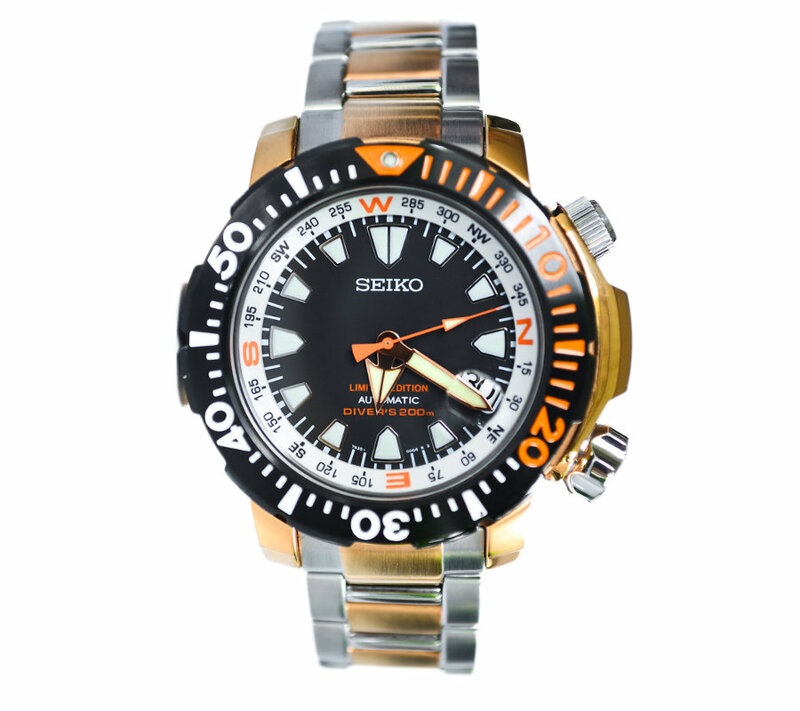 3rd Generation was when it got included in Seiko’s Prospex Line in the Japanese Market. It was presented as an overseas /reverse import premium model complete with nice box and back history documentation. Back then Prospex was a JDM line not available elsewhere unlike today.